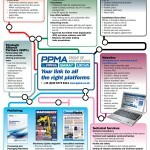 …we established style sheets and column grids which were absent from the newsletters prior to this and gave them a contemporary refresh which has seen them in good stead through to the present..
P PMA Group – Processing & Packaging Machinery Association is the UK’s trade association for processing and packaging machinery suppliers. 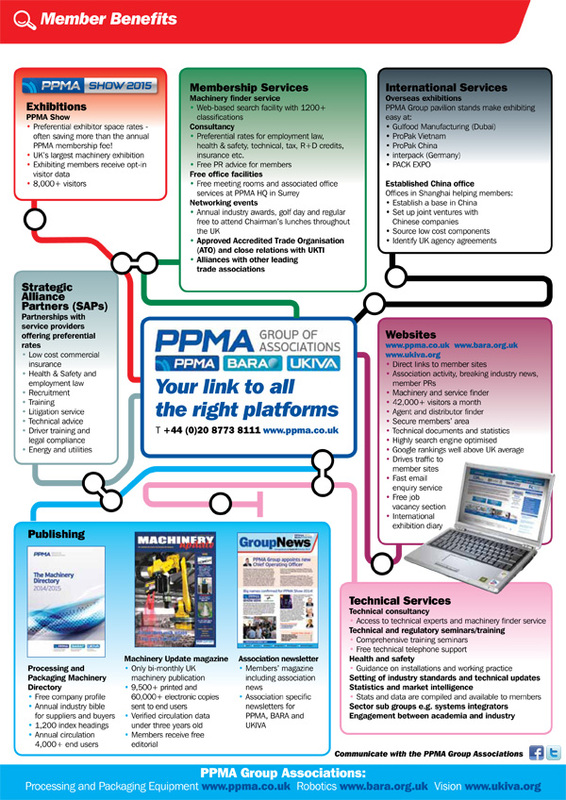 With over 400 member organisations, it’s role is to promote machinery sales for members nationally and for export. 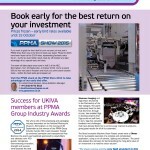 The group also incorporates BARA – British Automation and Robot Association, which gives a voice for the automated robot industry and UKIVA – UK Industrial Vision Association, which seeks to promote image processing technology within UK industry. 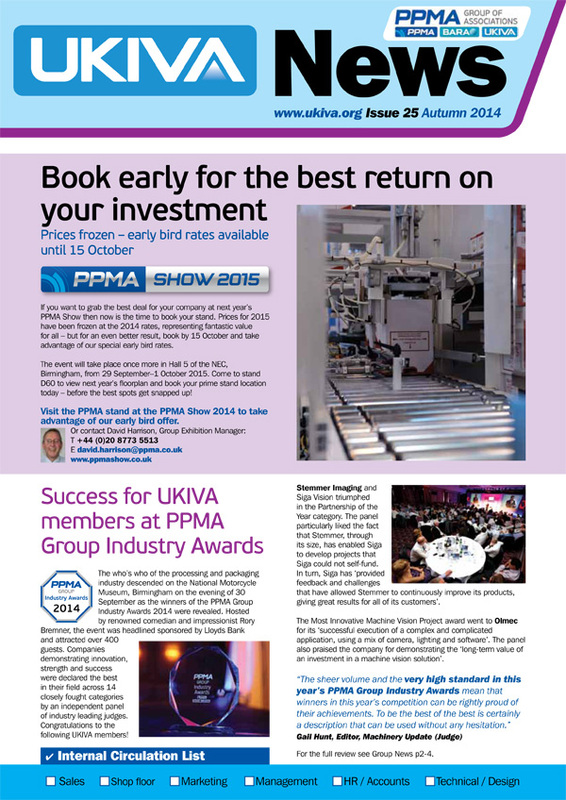 The Group, currently produce 4 sets of trade newsletters, PPMA Group News, PPMA News, UKIVA News and BARA News. 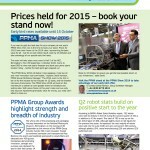 Lunatrix Design were asked to come in and look after the design for all the newsletters, which have some crossover and are published quarterly. 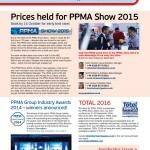 From issue 16, we established style sheets and column grids which were absent from the newsletters prior to this and gave them a contemporary refresh which has seen them in good stead through to the present, where we’ve just finished issue 25 of the 4 newsletters. 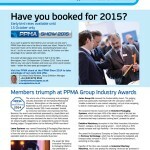 You can see the last Group newsletter design here. 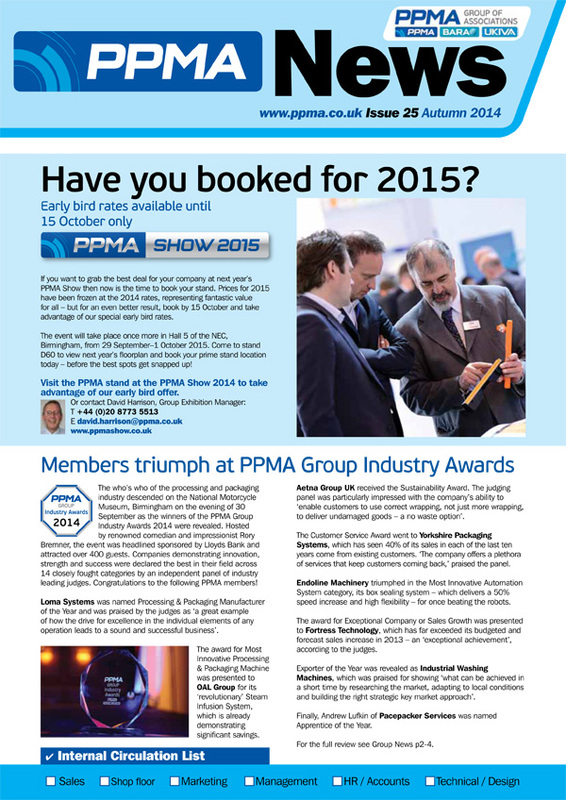 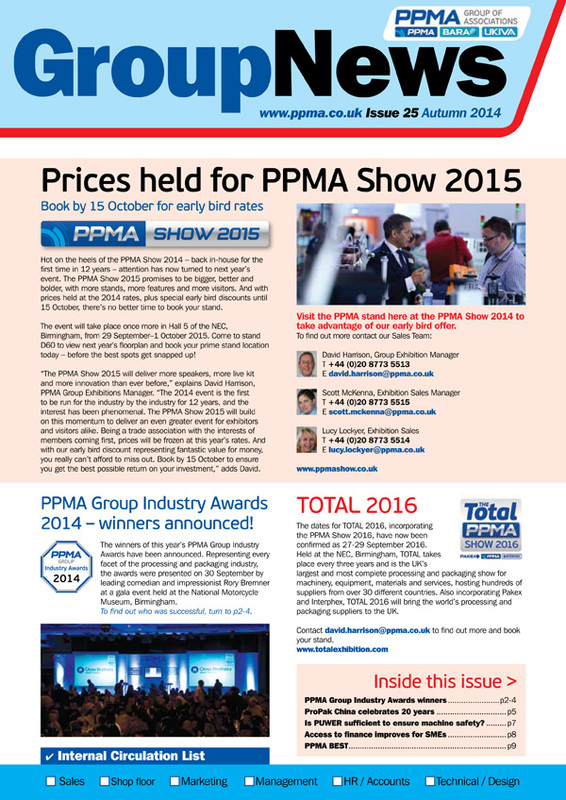 PPMA also organise an annual show at The NEC Birmingham. 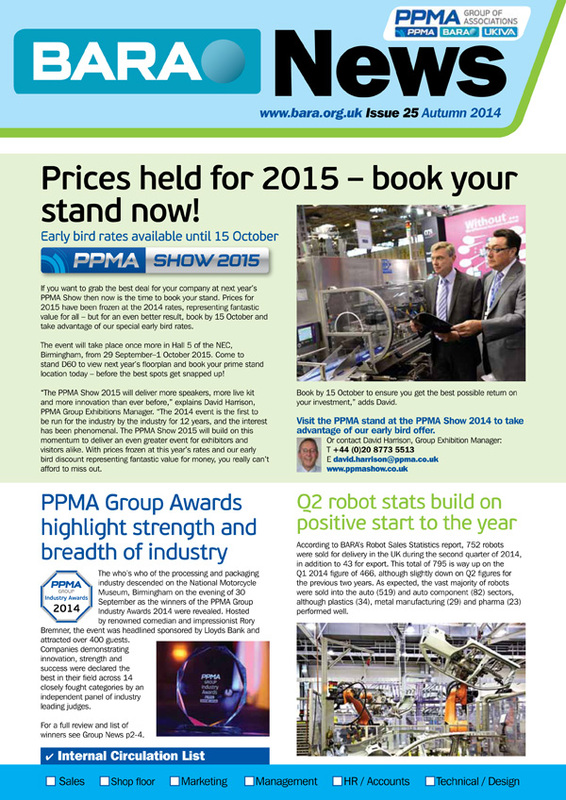 This year we also designed alongside the regular newsletters some A3 large format exhibitor and visitor update folded leaflets for attendees of the PPMA show.